I had great fun putting this article together with my friends and colleagues and want to thank Tarik Al Rasheed from the Worcester News for widening its focus. Here is the full blog which I composed. OK, let’s face facts. 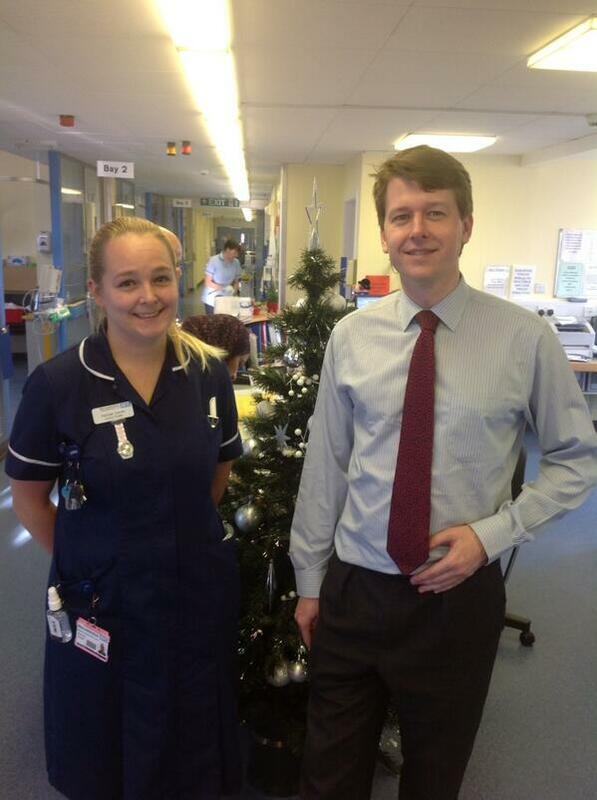 No one really wants to be in Hospital at all, let alone at Christmas. The season seems to speak loudly of fun, and jollity, and the TV wants us to think that everyone is having the most special and enjoyable time of their lives. We all know it’s a fiction, but we still buy into it. 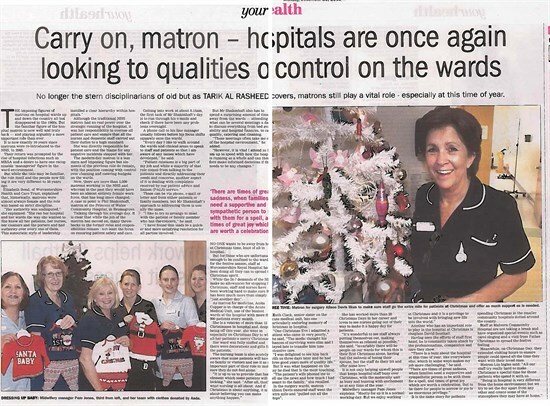 Alison Davis is Matron for Surgery and has been nursing for 30 odd years (although she doesn’t look it!). She reckons she must have worked more than 20 Christmas days in her career and she loves it. In May I will have been at Worcestershire Royal Hospital as Chaplain for 5 years. And so every now and then I bump into people who I have met in other circumstances- none more so that this story. I was minding my own business chatting to a Volunteer in the Main Entrance of the Royal when I noticed a dishevelled man out of the corner of my eye. You kind of get a second sense when you think someone wants to speak with you, and so I asked him if he was OK. His name was Ben, he looked knackered, and he told me why. “My wife Alice is expecting a baby and I have been awake for 36 hours straight.” He said his wife was called Alice, and I wished him good luck and went on my way. O dear, now the penny dropped. I obviously had some connection to this woman; (not her partner- he was new to me); and so I was wracking my brains. I was speechless. I’d only just shown my face (and that’s enough to put most people off). I am aware that so often I’m involved in some of the saddest times in peoples lives, and, understandably, they don’t want that bringing back to them by memories evoked by my presence. So she passed baby Sophia to me and for a few moments I stood there rocking her and admiring this new life who had emerged into the world. She was beautiful, and fragile, and it felt like I was treading on “Holy Ground”. So glad to be there. So glad to have, for a short while at least, become interweaved with the story of Alice and Ben and Sophia. So glad to have witnessed a new life start her journey in the world. Believe me I know that not all stories have happy endings. I know that many will, this Christmas, face grief which seems insurmountable. But for now I pass on a story that speaks of HOPE. And say that, for me at least, my thoughts and prayers will continue to be with this little ball of ‘WISDOM’. I haven’t blogged for a while because my last post was so emotional that I had to take some time. And now here we are. In case you haven’t kept up, Avon 4 is in the Aconbury block. In previous posts I have praised Wendy Bull for the way in which she leads this ward. She is fair, firm, enthusiastic and a motivator of staff. She leads by example and is as likely to be found with patients as she is anywhere else. Now when Wendy asks (or tells) me to do something I do it (not like I’m scared of her or anything) but just becasue she is a complete star! But you might think “she would say that wouldn’t she”. But it just so happens that I can back this up. Not by my own words but by the words of Robin Walker MP who visited the Hospital today. He spent some time shadowing me and this time, with no one but us two, we could go where we liked. I suggested that we went to AVON 4– partly because it is in the older part of the hospital and can be forgotten. We were welcomed by Sister Rachael who, without stage managing or hiding anything, introduced us to some patients. They were pleased to see Robin and, to a patient, all of them said how well cared for they were and how kind the staff were. Not a set up- they could have said anything. And later in the day Robin Walker MP Tweeted this, with a picture of him and Rachael. Now it’s tempting to think that the Nurses had chance to scurry round and do things properly. But they had only 5 minutes notice that we were coming. 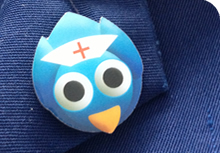 And what Robin saw, I am proud to say, was a normal ward on a normal day. It strikes me that this is important. We all know the travesty of the OFSTED reports where schools are given so much notice and put huge preparations into making everything just right. Well that shows what can happen when organisations are on their best behaviour. Chatting to my Chaplain Colleague Rev Guy Hewlett afterwards, he saw the power in this. As an ex-Custody Suite Seargant for the Police he told me of the Lay Visitors who could visit at any time, day or night, with no notice at all. And that is the spirit in which I took the MP around. After all, we have nothing to hide. And everything to show. And the openness and transparency of Robin’s visit proved this. Hard working and caring staff doing the work they do day in day out. Outstanding. And I can tell you this. I would be proud and happy to take Robin or any other visitor to any of our wards at WRH to see the tremendous work that goes on. I have confidence in this place, in my colleagues and their care. Who knows, perhaps we should think of a team of Lay Visitors who could come in whenever they liked to our Hospitals. Openness and Transparency are our watchwords in the NHS at the moment. Anyone can perform to a test or pre-planned visit. But it won’t tell you as much. And in fact we do have such a team- the relatives of family members who always see what is going on. So well done AVON 4, Sister Wendy Bull and Rachael on the Team on duty this morning. And thank you Robin Walker for helping me make the point and keeping it real. THE POST I NEVER WANTED TO WRITE! In pride of place in my office is thisphoto; the most special of many photos. It pictures proud parents holding a beautiful baby boy. It has “THANK YOU” inscribed on it, and on the back there is a beautiful heartfelt hand-written message. This baby is beautiful… but he is silent and still. SO THIS IS THE POST I NEVER WANTED TO WRITE. And it breaks my heart. 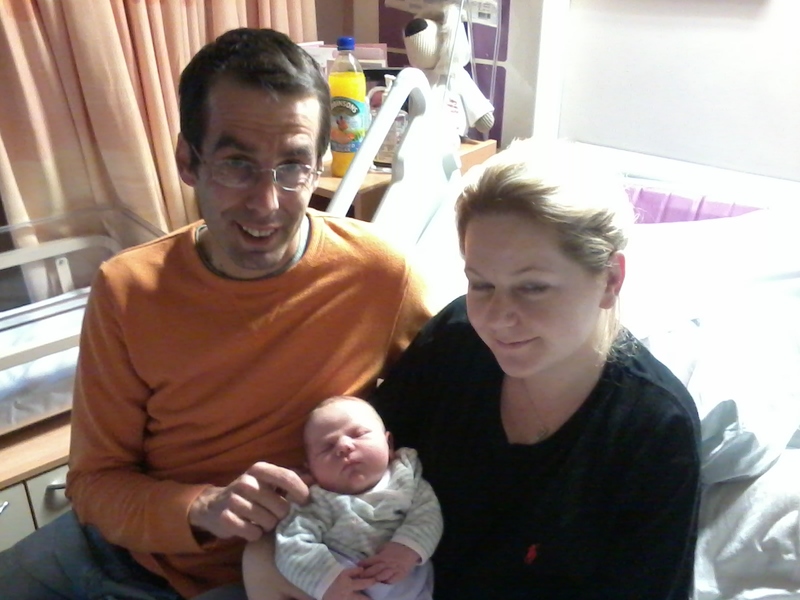 It started with a letter to the Worcester News http://www.worcesternews.co.uk/news/letters/read/10586417.Hospital_staff_are_absolutely_brilliant/) from Mom praising the Hospital Staff and explaining all the hopes and dreams and fears of being an expectant parent. Little did the parents, Lisa and Russell Ventura know then what a journey would face them and their little one FRANKIE. But the journey had more to dish out, more than we could ever know at the time. And by now many of our lives were intertwined with this journey. We, too, had become part of it, hoping and waiting with expectation to see this beautiful little boy. So after the all clear of a final scan, and a breath of relief, DEVASTATING NEWS. A blood test had detected something. – a rare chromosomal anomaly which brought terrible, tragic, wicked news. Frankie would not be able to survive outside of his Mom’s tummy. By this time I now counted Lisa and Russell as friends, along with many others. I had met Nanny and Grandad, shed tears, and talked about the coming days. Together we made plans that no parents should have to make, of how to say goodbye to their child. 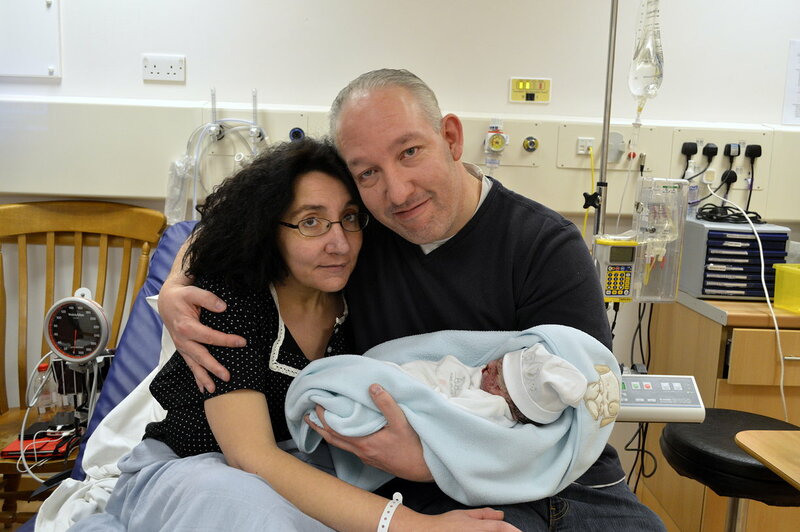 And then, Mom could no longer feel Frankie moving; and Francesco Enrico Ventura was born sleeping at 4.43am on Friday 29th November 2013 weighing 4lbs 10oz. I have so much more to write. Of his baptism and blessing which I had the privilege of being invited to take on the ward; of the kindness and concern of the Delivery Midwives under the leadership of Matron Rachel Carter; of holding this beautiful boy in my arms and wishing for him to wake, to make a movement, to cry. Of the funeral some days later- dignified, celebratory, beautiful. I have so much more to write but can’t bear to at the moment. And only God knows the HELL that Russell and Lisa went through. And yet, through it all, they held on; and could even see glimmers of hope. They are indeed remarkable people; no wonder Frankie was such a remarkable boy. Their bravery has enabled them to create FRANKIE’S WEBSITE (http://www.frankie.russellventura.co.uk) in which he tells his story. And their aim is to have a LEGACY FOR FRANKIE (http://www.babyandcleft.co.uk/) to show “how one special unborn boy changed the world even after his death…” and to raise awareness of still birth and cleft lip and palate. So I count it an honour to post this as my tribute to FRANKIE. A privilege to count Lisa and Russell amongst my friends. And I share their story with a hope that we might spare a few moments of silence and prayer for them all. Hmmmm…the world is full of experts. But sometimes this masks the truth that the simple things often work. And none more so than in SPIRITUAL CARE. No don’t get me wrong. I like experts. I have a PhD, spend three years studying the minutiae of a particular subject…but what really counts. I have been a minister of religion for more years than I care to remember; and was a Psychiatric Nurse (or whatever they are called now) when we just sat around and drank coffee and smoked! So here is my take on spiritual care. I heard the story of someone who was sad because they had lost their cat. Now, the chances are that some of these are nothing to do with spiritual care. I fail a lot. But if spiritual care is to do with peoples spirits and motivations; and if it is anything to do with sharing in the humanity of others, then maybe it is. And that’s the point. Sometimes we label things to shut people out. To say it is not your job, you couldn’t possibly understand; you’re not the expert. So here’s my hunch. Nurses are spiritual care givers. The meet the needs of the persons spirits as much as their body. They may not have the language or conceptual matrix for it but doing it is what counts. So for the tweet chat let’s have these questions as starters. What spiritual care do you think you have given in the last few days? Are nurses meant to be spiritual care givers? How do you give spiritual care at the end of life? What is important to you in regard to spiritual care? What’s more important? Religion or my dog? I am really looking forward to the Chat on Spirituality. I hope to learn loads.